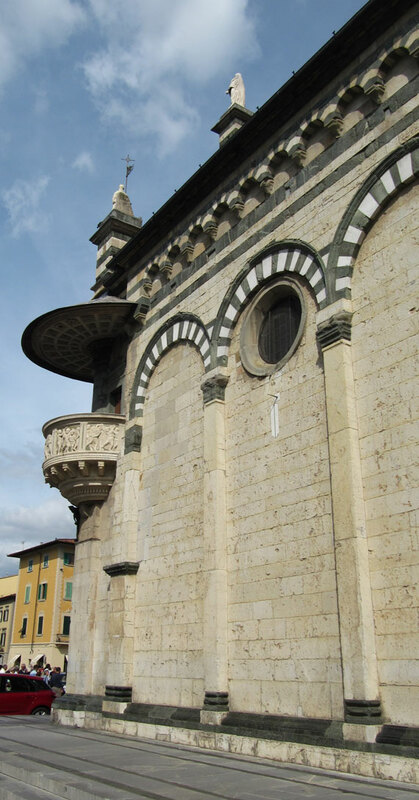 Blog / Events / The Question: What’s Prato Italy? With the normal cynical approach one develops towards government run programs (free ones at that! ), this is not the type of tour that I would have normally ventured upon. However, my friends and family will confirm, I am an eternal optimist. So I ventured forth. 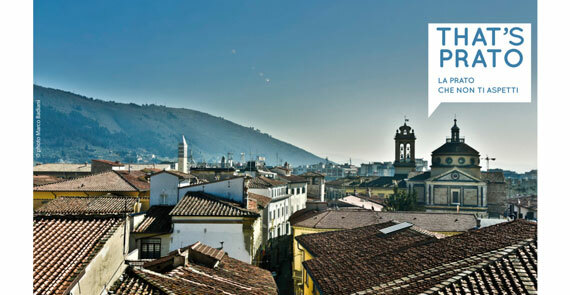 That’s their slogan, find an unexpected vision of Prato. And they most certainly lived up to the slogan; I was definitely (and happily) surprised. 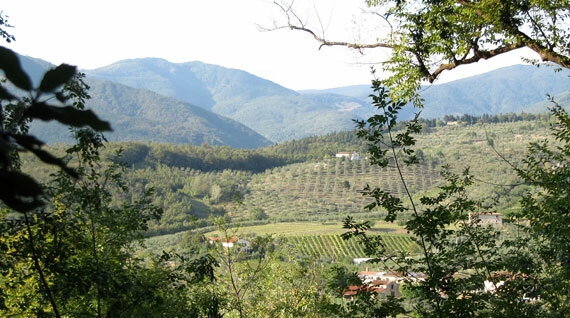 The initiative, sponsored by the Region of Tuscany and the local communes in the province of Prato, has highlighted 5 different areas of the province, the culture and monuments to tempt you to come back. The tour I took (The Noble Trail: Villas and Castles) gave just enough information to satisfy my initial questions but left much space for coming back on my own to explore in detail. Often marginalized by locals and tourists because … maybe because the little province (and city) of Prato are overshadowed by the colossal cultural giant next door (Florence). However, Prato is definitely not to be scoffed at. The 5 well thought out itineraries in English (as well as Italian) truly give insight to the cultural, historical, gastronomical and artistic jewels hidden within its borders. 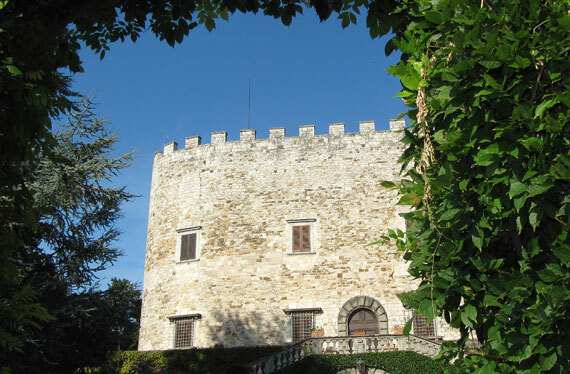 We toured the Castello dell’Imperatore and the city center of Prato at a leisurely pace before transferring over to the enchanting borgo of Montemurlo and its stunning La Rocca, where we had a special private tour of the garden and cantina. Our guide (Silvia) and tour companion (Violetta) kept us on time for each stop while giving us plenty of room for bathroom breaks and photo opportunities. My first hint that this was well done was the full bus that left the Florence train station on the 27th of September. (I know. 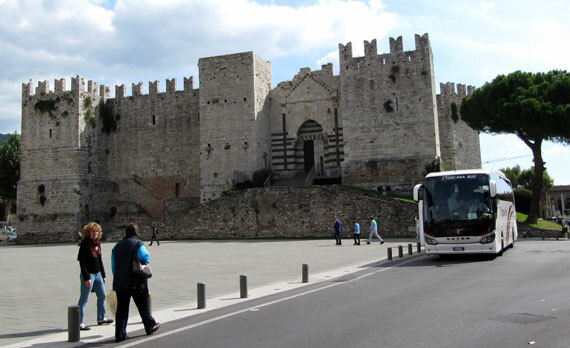 I was confused too – a bus at the train station…but, yes you meet at SMN train station in Florence and the bus is waiting for you at the back door.) 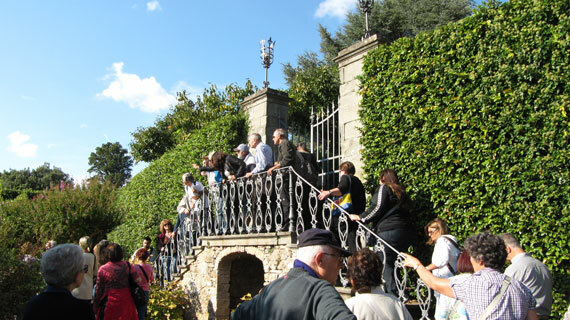 There were 53 curious tourists (many Italians, with a sprinkling of English speakers). My second hint came when I realized how many were actually second timers – several had taken one of the tours in the summer and came back eagerly for the fall round. I will be on the 11th of October tour entitled: The Pilgrim’s Walk and on the 18th of October: The Etruscan Past….any takers? I hope to see you out there because I believe it is most assuredly a worthwhile adventure.